T-Lab is a new company formed in 2016 by the team behind Guru, the defunct producer of high-end custom bikes. Unlike its predecessor, T-Labs concentrates on one material, titanium. 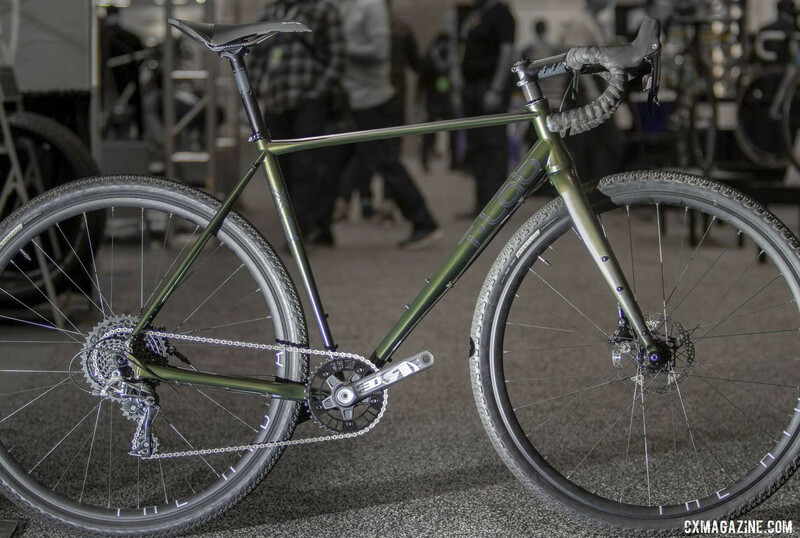 At NAHBS 2019 the All-Terrain X3 gravel / adventure bike caught our eye. 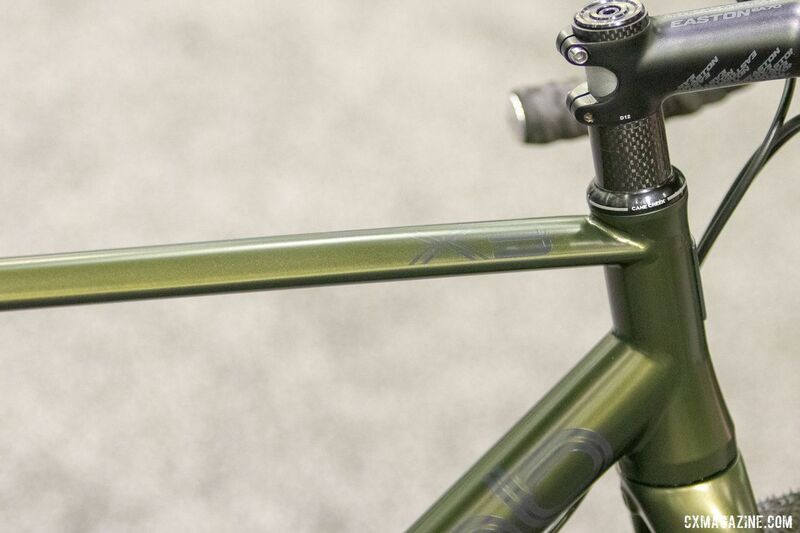 The X3 has some unique features to set it apart from the multitude of other titanium bikes we saw at NAHBS. T-Labs cold-forms Grade 9 titanium (3Al/2.5V) titanium alloy in a mold to yield the final tube shape. Those shapes include radically flattened tubes at certain weld junctions and in certain locations along the tubes. Co-Owner John Anagostopolous told us that T-Lab’s analysis showed that the shapes chosen in the locations chosen will offer stiffer tubes for more efficient rider energy transfer without a weight penalty. Ride quality will actually be enhanced is the claim. 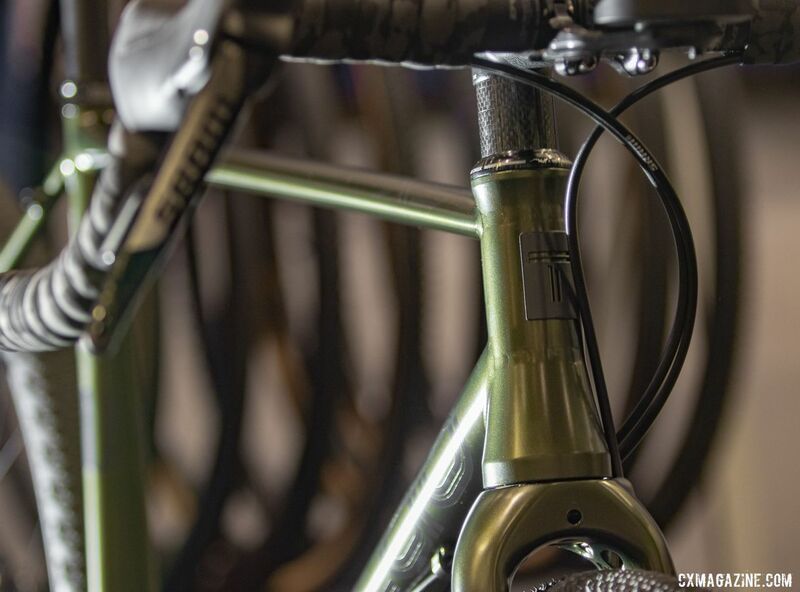 The three-piece welded head tube saves the need to machine a billet of titanium, the typical method. Machining a head tube is time-consuming and has a lot of material waste. The three-piece design enhances flexibility in frame fabrication. T-Lab also has a unique rear wheel attachment. These used to be called dropouts, as the wheel would drop out when the quick release was opened. 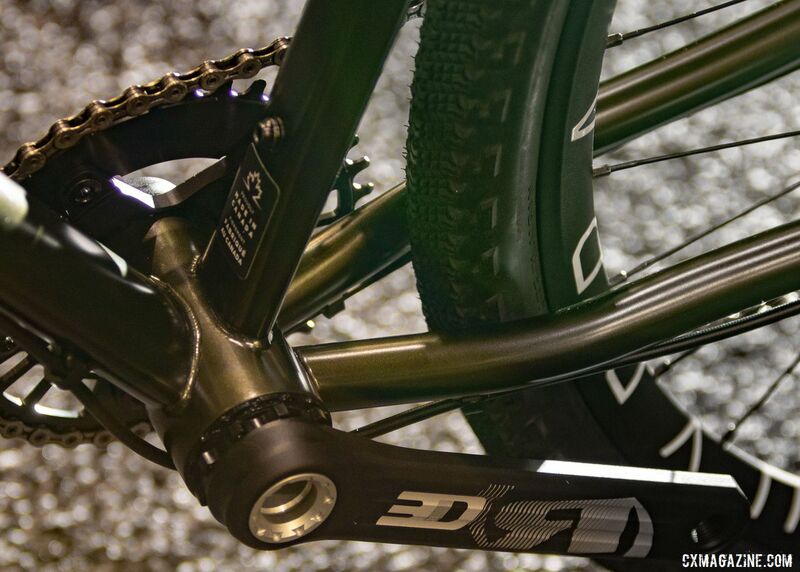 The new standard for drop bar bikes is 12x142mm thru-axle. 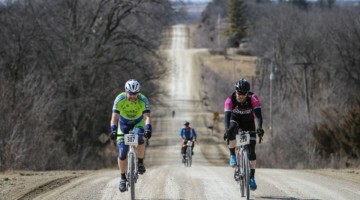 T-Labs developed a system where the machined axle mounts include the derailleur mount on the drive side and the disc caliper mount on the non-drive side. Those pieces are bolted to the rear triangle. This allows interchangeability and more flexibility in frame production. T-Lab picked a BB386 bottom bracket shell to allow a wider chainstay stance for better tire and crank arm clearance. The X3 can fit 700c x 44mm tires or 650b x 51mm. The X3 frameset with a T-Lab carbon fork starts as $4,200 USD. The claimed frame weight is 1,200 grams. 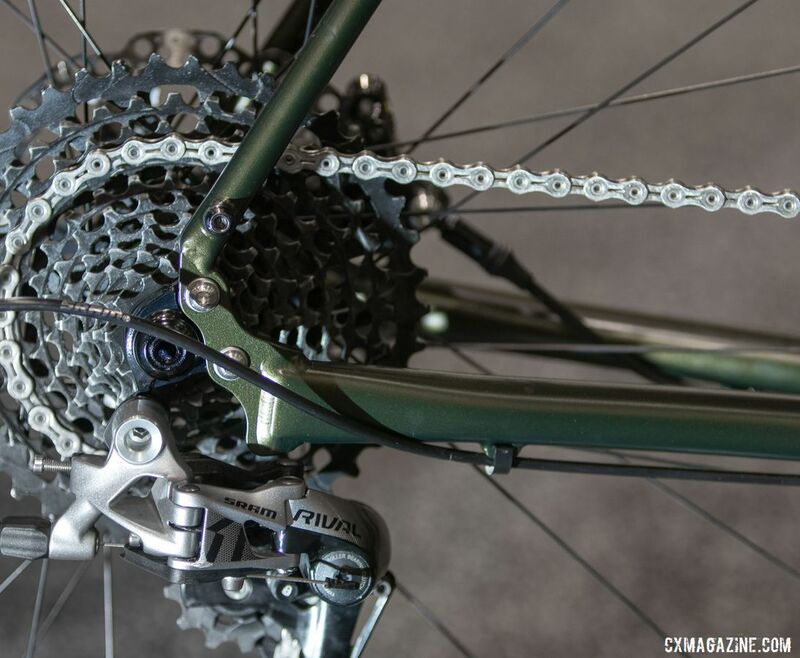 The X3 build on display with the single ring Rotor 3D crankset weighed a claimed 17 pounds. For a closer look at the T-Lab All-Terrain X3, see the photo gallery below. 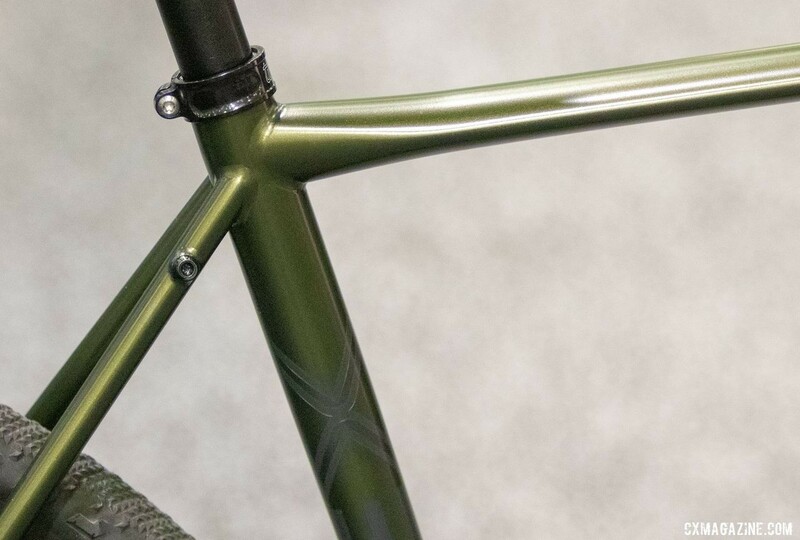 Stay tuned for more handbuilt bikes from 2019 NAHBS show in Sacramento.